Chestnuts roasting on an open fire.. Autumn has arrived in Northern Italy. The days are shorter, nights are longer, temps have dropped significantly.. Chilly mornings to freezing evenings and as always the produce changes in the farmers market as well as the supermarket. Out with the summer produce and in with the Autumn crops such as Pumpkins, pomegranate, wild mushrooms, and of course chestnuts. 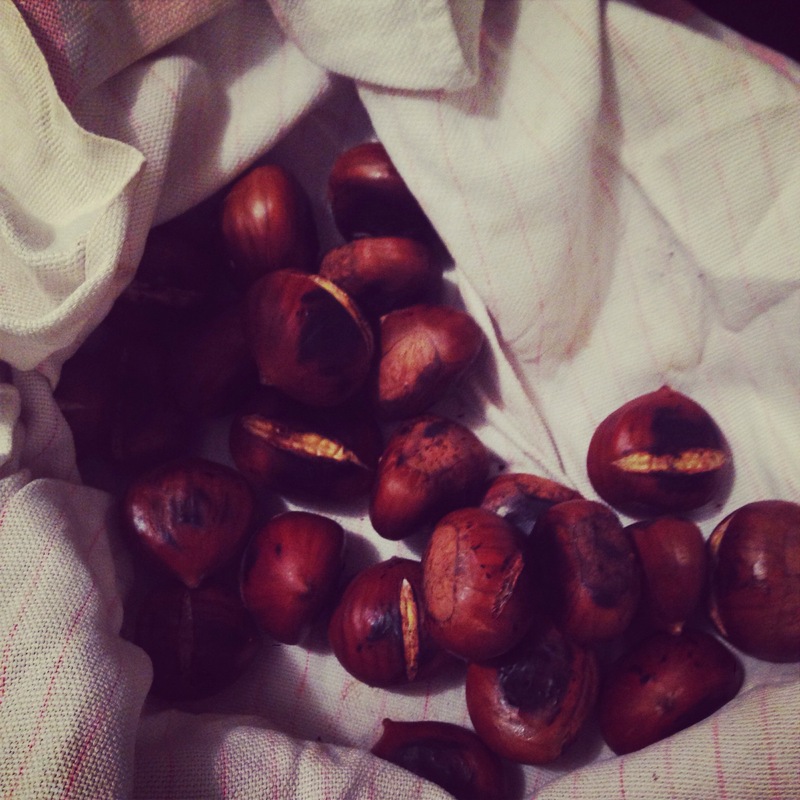 Tis the season for roasted chestnuts. 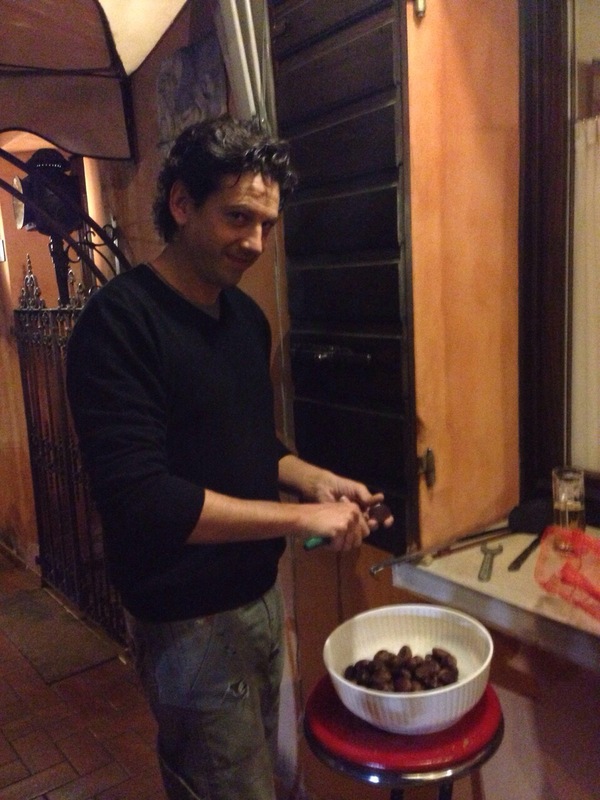 Around every piazza throughout Italy you’ll find chestnuts roasting on an open fire. It’s quite the Italian tradition. You can also roast or bake them in the comfort and warmth in your own home. Just remember to make an incision in them all before roasting or else they’ll explode. And after give or take 15-20 minutes ( depending on how high the heat is) they’ll be finished. Put them in a towel to keep them warm until ready to eat. 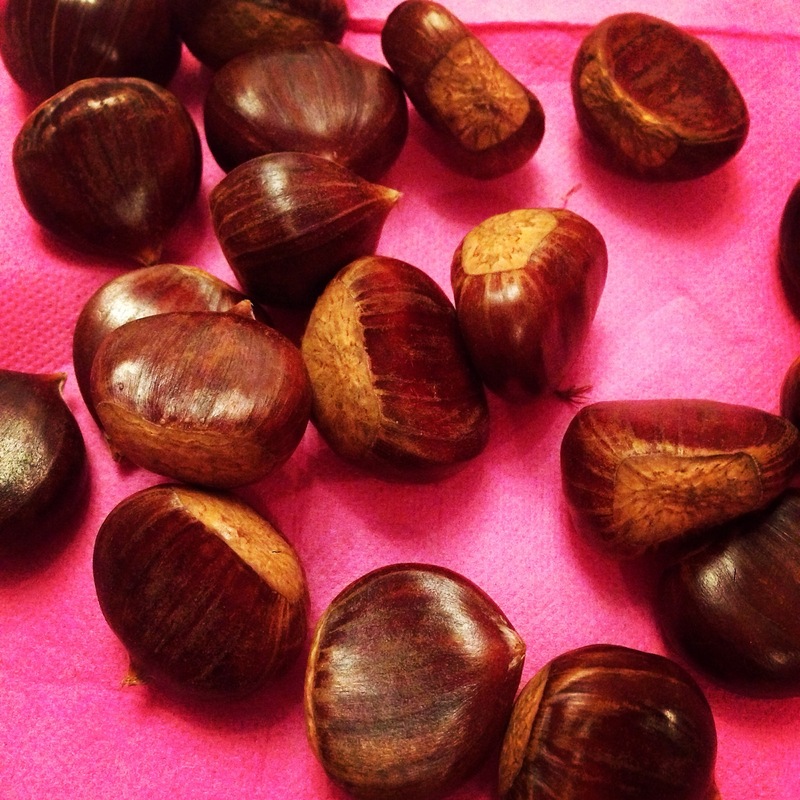 It’s best to enjoy roasted chestnuts with a glass of red wine or beer. 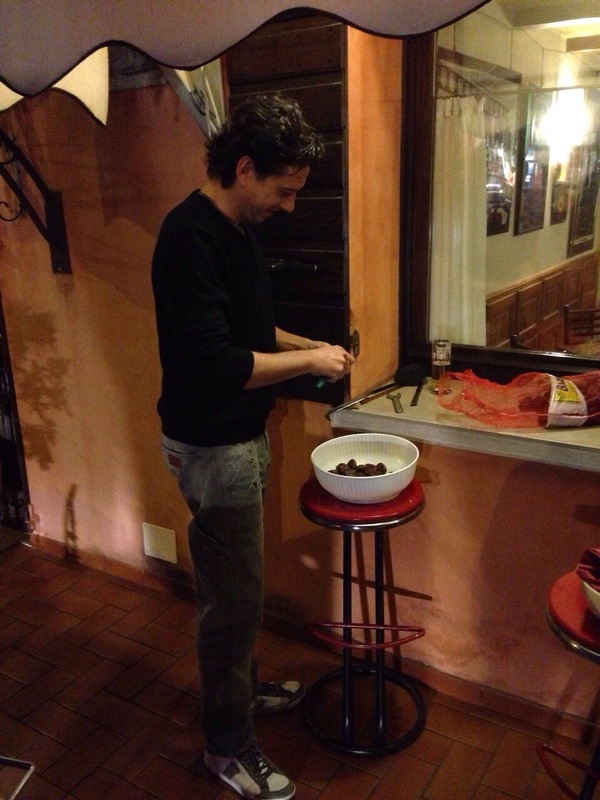 Last Sunday night our friend Fabio was prepping and roasting chestnuts for a large group of friends. 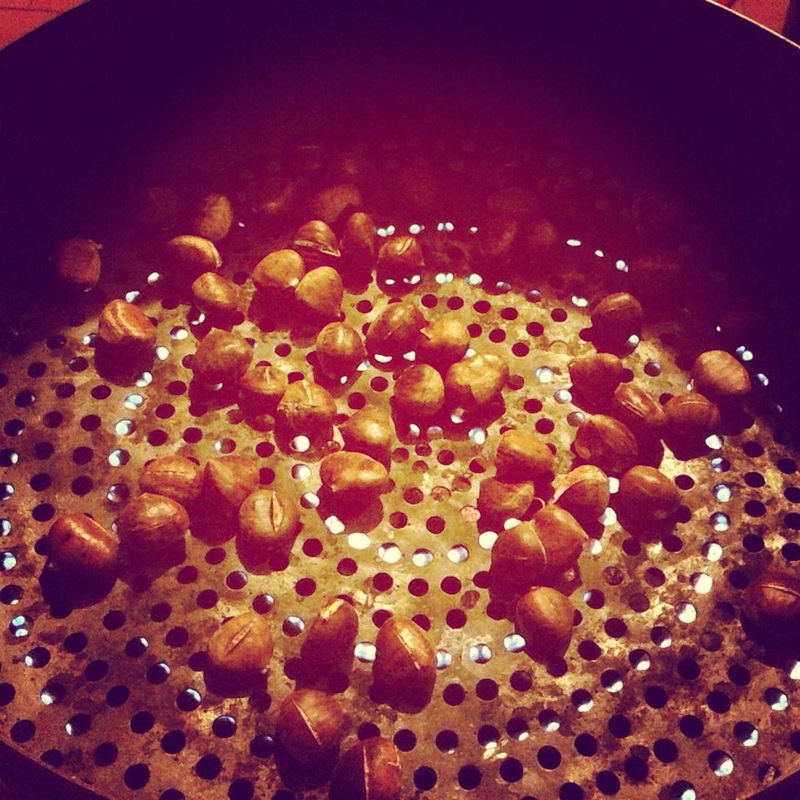 Have you ever had roasted chestnuts before?